2003 was a fascinating time for video games. Playstation 2, Gamecube, and Xbox were all capable of running most third party games, the main differentiation being your platform of choice. As a result, developers were getting more liberal with the offering of releases and it would be easy for certain titles to fall through the cracks, which is exactly what happened to Sphinx and the Cursed Mummy. Despite being highly praised by enthusiast media, sales barely touched over half a million units across all platforms, which is a failure by any account. Sphinx and the Cursed Mummy was in impressive company – Legend of Zelda: The Wind Waker, Star Wars: Knights of the Old Republic, and Prince of Persia: Sands of Time just to name a few. There were other greats that were criminally underappreciated such as Beyond Good & Evil telling me it was just a rough time to be an unknown franchise. 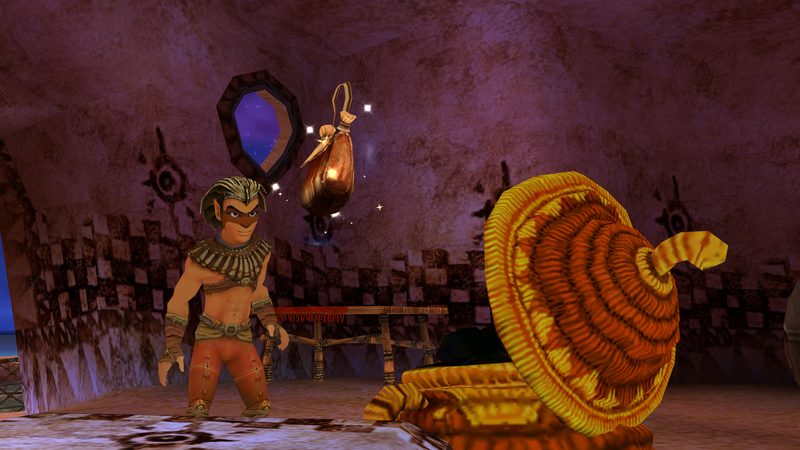 Fast forward to 2017 where thanks to the embrace of HD remasters and the strength of a digital publishing platform, Sphinx and the Cursed Mummy is being given a new lease on life for the PC. While I wasn’t sure how the adventure would hold up today, I was impressed with stunning new visuals and an unexpected time capsule of what game design was like two generations ago. If you’ve never touched it before, Sphinx and the Cursed Mummy is a linear adventure where two protagonists explore dungeons, one fighting and one puzzle solving. You’ll probably hear it compared to Legend of Zelda: The Wind Waker by both contemporaries and reviews at the time. I disagree personally and fall back on this title being compared due to incidental parallels and the fact that the two released within six months of one another. The same thing happened when Prototype and inFamous were released around the same time, so unrelated titles sometimes get lumped together for better or worse. I won’t disregard the similarities: delving into dungeons, solving puzzles, and even the lack of voice acting instead of text, but some fundamentals of this title differ heavily from Nintendo’s franchise. For starters, you get to control the camera with the right stick allowing for a flexibility that was much more cumbersome in Zelda titles. Since the camera is free form there is also the removal of “Z-targeting” or the ability to lock on to a character you fight. As a result the combat is loose and can be frustrating in the 3D environment, but I was able to easily tolerate it in Sands of Time and the same holds true here. There are also two protagonists, one that can’t fight and instead solves puzzles (Tutenkhamen aka “The Cursed Mummy”), and one who is more of a fighter than a thinker (the demigod Sphinx). The separation of gameplay in levels may be divisive, but at least you know what each section of the game expects from you. Finally this game is linear progression as opposed to the massive open world of Wind Waker. On its own, Sphinx and the Cursed Mummy is a great timepiece. It’s exactly what we had come to expect of exploration and adventure titles with mass environments to explore. The platforming is a bit off, which is no fault of the port, and once you upgrade Sphinx to the double jump it’s really not much of an issue. The same can probably be said for the clumsy melee combat that lacks spot-on collision detection, but again the upgrade system seems to solve these problems so the initial clumsiness may be intentional. On the other hand it’s surprising how massive the game is – it’ll take you 15-20 hours to complete – even though the plot really hits the ground running. 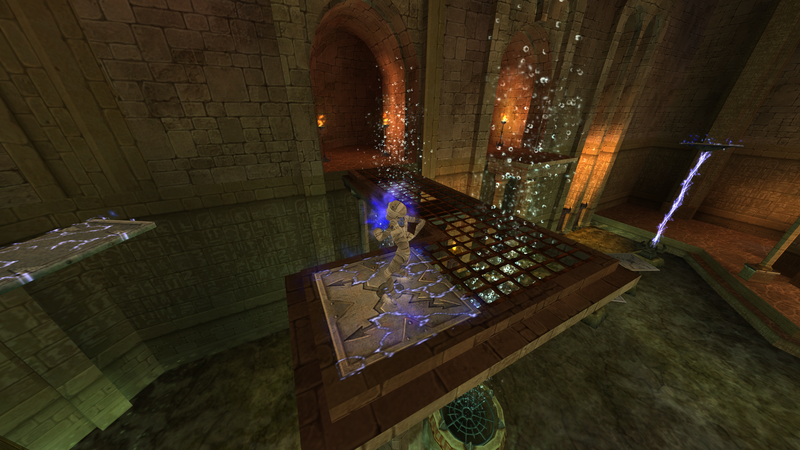 It’s not an easy task to complete with some of the puzzles being real head-scratchers and the toughest combat encounters making you grind your teeth. Probably the biggest gripe for today’s players – and one I share – is the save system that relies on statues in the environment to hold your progress. It doesn’t respect the modern player’s expectations to stop a game at any time, and although they do appear at a good clip, expect to see someone’s eyes roll as they wait for you to find an appropriate stopping point. In terms of the PC update, it checks the important boxes and demonstrates an impressive degree of optimization. The entire game comes in just under 1 GB, only slightly larger than the original, but now has support for widescreen resolutions up to 4K, 21:9 monitors, and some hefty smoothing of the edges. It has full XInput support (Xbox 360/Xbox One controllers), but I have to admit the keyboard and mouse controls leave much to be desired. Given the fact that this game was designed around controllers, I’m not all that surprised and you should probably plan on playing with a controller. The 5.1 mix from the Xbox returns to keep pace with today’s releases. Performance remains the standout as it runs smooth as butter on everything I put it on. I had no issue getting 1080p60 out of my gaming laptop, not to mention a rock solid 4K60 out of my main rig. Looking over the specs, this port will run on any hardware after it originally released, so rest assured it works on most computers today. Some of this hard work is marred by one issue that would creep up from time to time: a black screen when loading a new environment that left me with no choice but to close the game. Given the reliance on statues to save, this can either be a brief setback or in rare instances send you to a previous level, possibly before a tough encounter. This may be a deal breaker for some players, but those who can tolerate it will find the overall experience rewarding. 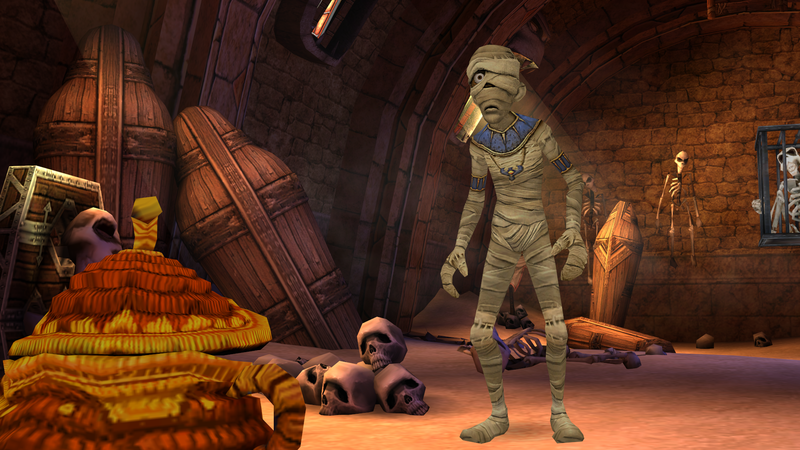 Sphinx and the Cursed Mummy is a strong example of what fully rendered 3D adventure games were like in a time just after the death of point-and-click where quests could be realized in-engine. I’ll concede that Wind Waker HD may be a better game, but that’s more Nintendo’s history rather than gaming as a whole. Sphinx and the Cursed Mummy better demonstrates a mixed bag of design choices and even stood out technically in 2003 with 720p support and 5.1 audio on Xbox. If you want a slice of gaming from back when 3D was getting refined, this is a gorgeous and optimized flash in time for an appropriately budget price. A review code was provided by the publisher. Sphinx and the Cursed Mummy is available on Steam (http://store.steampowered.com/app/606710/Sphinx_and_the_Cursed_Mummy) and GOG (https://www.gog.com/game/sphinx_and_the_cursed_mummy) for $14.99. I will still get it on the PS2. Sue me.